Delphine Remy is a certified Holistic Nutrition, Mind Body Nutrition and Eating Psychology expert. She acquired her Eating Psychology Certification from the Institute for the Psychology of Eating. The Institute is world renowned for its powerful cutting-edge tools and protocols that have greatly influenced Delphine’s coaching techniques. 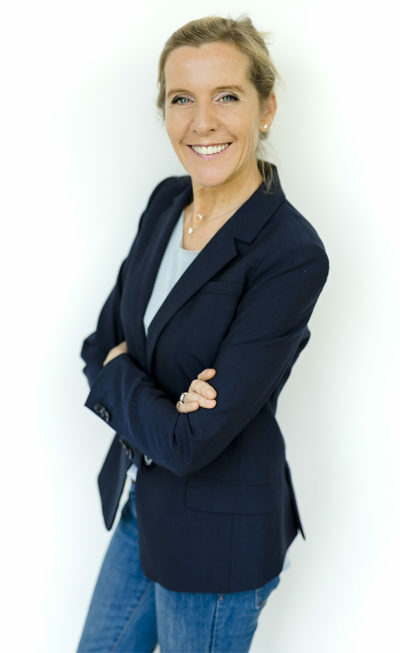 She is also an Eating Disorder Intuitive Therapy (EDIT)™ Certified Practitioner and Member of the Belgian “Union des Nutrithépareutes Francophones”. The Happy Spoon program saved my life, so it can save yours! I feel proud and confident to say that Happy Spoon is the result of 30 years of research. You must be thinking, “What is she talking about? She’s only 44!” Yes, you’re right. But all of the steps of this program saved me from a very complicated relationship with food. There was a turning point in my life when I realized the importance of food. It happened when I understood what really mattered was healing my relationship with all aspects of eating. This program is my life’s work and it has revived, restored, and made me come alive again. I know better than anyone else how debilitating it can feel to be stuck in an unhealthy cycle of emotional eating, binge eating and overeating. I know all about the food guilt, regrets, poor body image, poor self-esteem, and the voices of the inner critic… so how do you overcome all of this? With my personal experiences of positive change, how can I stay silent and not take it upon myself to share the important knowledge with people like you who sincerely want to heal, but feel imprisoned in a relationship with food that drains energy and prevents from living life to the fullest? It’s so true. An unhealthy relationship with food is an obstacle to a happy and balanced life. Hearing this statement was an “Aha!” moment in life that I hope you feel just as strongly as I did. That’s why I made it my mission to help as many people as I can again back their power over food and their life. And I love it! The Happy Spoon 30-day online program helped me and hundreds of clients and individuals under my care to end overeating, binge eating and dieting for good. My mission is to continue to help as many people as I can to transform their lives. Let me accompany you on a journey to a healthy and joyful relationship with food! The journey starts with tuning into your body’s wisdom to elevate your spirit and ultimately transform your body and soul. You will learn how to transform every aspect of how you eat, how you make your food choices, but also how you talk to yourself, so that you can initiate new patterns that will rock your world! I am a proud supporter of Healthcorps, national non-profit organization, founded by Dr. Mehmet Oz, devoted to strengthening communities by giving teens tools to improve their physical and mental health to live more productive and happier lives. It is an organization very dear to my heart as I am convinced of the importance of learning healthy habits early in life. I keep myself busy being a mother, a wife, a speaker, a blogger and a coach and I love it all! I currently live in Belgium after having spent 12 years in Houston. I consider myself half Belgian, half Texan! I spend a few weeks every three months in the US to work with clients. I hope to see you soon on the Happy Spoon transformational journey!